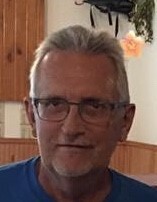 Obituary for William T. Lotwick | Hartman Funeral Home, Inc.
William T. Lotwick, 62, of New Tripoli, died Wednesday morning, January 31, 2018, in the Hometown Nursing and Rehabilitation Center. He was the husband of Sharon L. (Wertman) Lotwick. They observed their 20th wedding anniversary on February 13, 2017. Born in Shenandoah, he was the son of the late William and Rose (Fallan) Lotwick. William was last employed by Kraft Foods, Allentown, for 35 years. He was of the Catholic faith. Lotwick was a member of the West Penn Rod and Gun Club and was an avid hunter. He enjoyed camping, vacationing in Florida, and playing with his grandchildren. Surviving are a son, Jason Christman and his wife Jamie, New Tripoli; two daughters, Nicole, wife of Tony Melnick, and Nadine, wife of Tim Wolfe, both of Frackville; two brothers, John and his wife Cathy, Hummelstown, and Jerry and his wife Janice, Craigs; two sisters, Jane, wife of Michael Lagowy, and Rosanne Pupko, both of Hazleton; 5 grandchildren, Peyton and Teagan Christman, Dylan Melnick, Kamryn and Leah Wolfe, nieces, nephews, great nieces and nephews. Funeral service will be held at 11:30 on Saturday, February 3, at Hartman Funeral Home, 1791 West Penn Pike, Rt, 309, New Ringgold, with Rev. Msgr. Robert J. Wargo and Rev. Kevin Fruchtl officiating. Friends may call on Saturday from 9:30 to 11:30am. Private interment. Contributions may be made in his name to the West Penn Rod and Gun Club, 1047 Clamtown Rd. Tamaqua, Pa 18252 or St. Luke’s Hospice, c/o Development Office, 801 Ostrum St. Bethlehem, Pa 18015. Hartman Funeral Home, 1791 West Penn Pike, Rte. 309, New Ringgold, is in charge of the funeral arrangements. Online registry and condolences may be signed at www.hartmanfuneralhomeinc.com.